Work included new front porch, walk, entrance landing and steps leading to stone chip driveway. 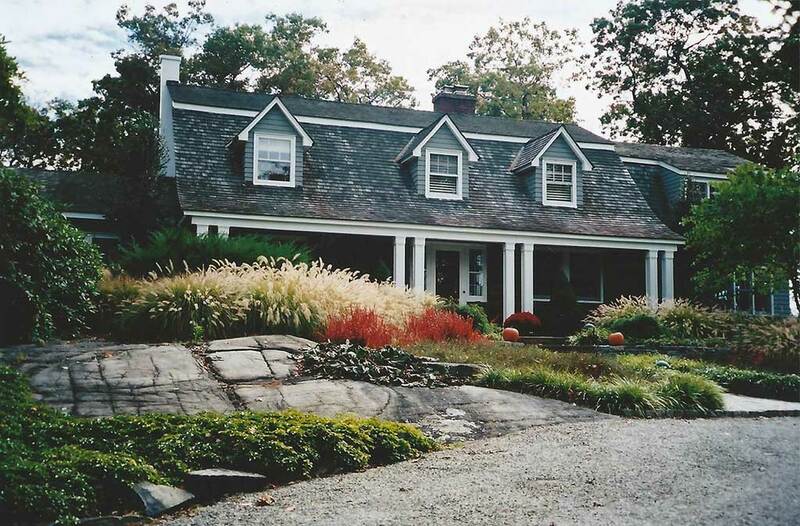 Contrasting plantings of ornamental grasses, perennials and groundcovers flank the existing frock outcrop. Evergreens and ornamental trees provide vertical support.